Multiple mini-interviews, aka MMIs, are like speed dating for the interview world. 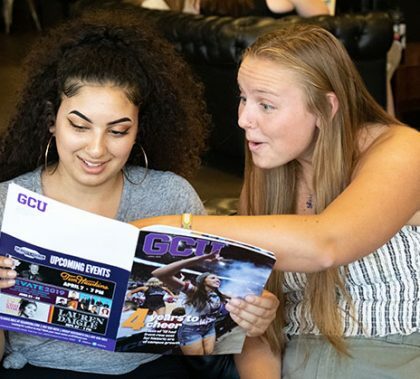 GCU pre-med students jumped into the University’s first mock multiple mini-interview session to help them hone their critical-thinking skills before beginning real MMIs as they apply to medical schools. It was innovation on parade at the Engineering Building on Thursday, where dozens of computer science, computer programming and mechanical, electrical and biomedical students on about 35 teams presented their yearlong projects as part of the Engineering and Technology Capstone Showcase. 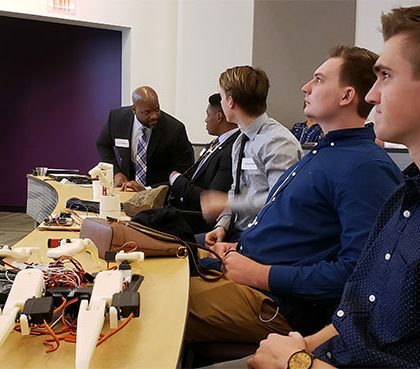 Since January, GCU students have been busy in the engineering labs building a scaled-down version of a Formula 1 vehicle, though even before cutting one tube of steel, they spent about eight months designing the vehicle on a program called Solidworks. 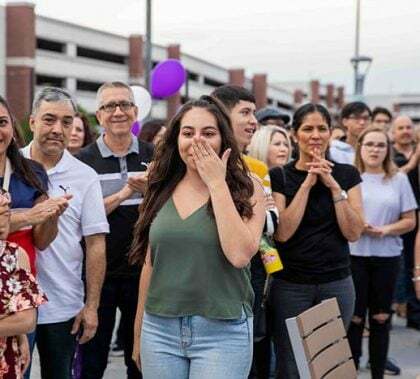 “This is really, really exciting for the University and the engineering program,” said Dr. Kevin Williams, who teaches mechanical engineering and is the faculty adviser for the 30-plus-member GCU Formula SAE Team. 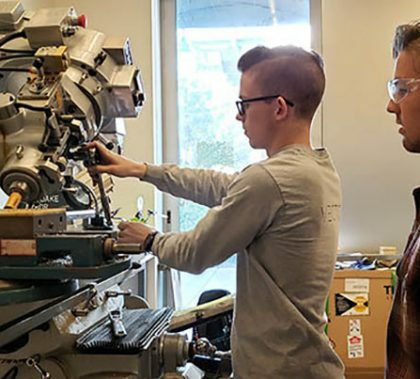 “It is the first time ever we at GCU are going to have a Formula vehicle built for competition.” The first-year team will see how their vehicle fares when they head to Nebraska in June for the Formula SAE Collegiate Design Series competition, going up against 79 other teams. It was a science Saturday for fourth- through eighth-graders, who spent their Saturday morning making oobleck — an odd substance that acts like a liquid and a solid — building simple motors powered by batteries, deciphering code and programming robots. The workshop was organized by GCU’s Robotics Club in collaboration with K-12 Educational Development. 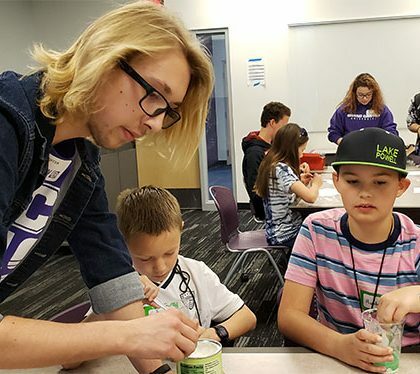 About two dozen Thunderbots volunteered to work with the young students and foster their appreciation of science, technology, engineering and math at the club’s STEM Bonanza. 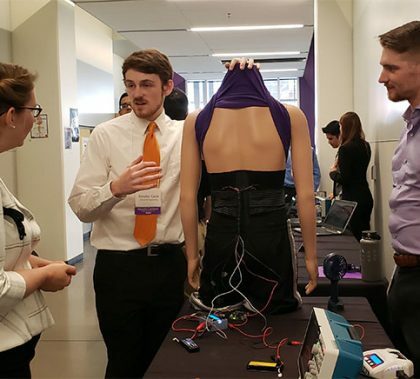 The College of Science, Engineering and Technology and the Honors College joined forces in 2018 to present the first CSET Research Symposium and Honors College Showcase “so that the audience can get a feel for a broader scope of research that goes on at GCU,” said Professor of Biological Sciences Dr. Galyna Kufryk. 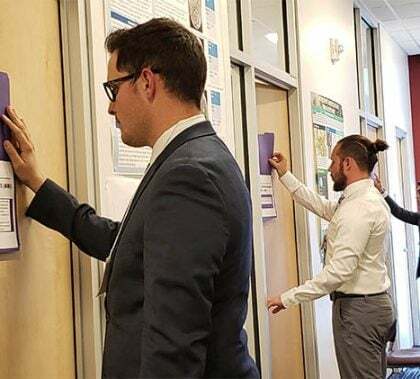 This year’s event featured hundreds of students across disciplines presenting their work — everything from augmented reality projects to the impact of college weight gain, the implications of curcumin in Alzheimer’s disease and a humanitarian project to help homeless women. 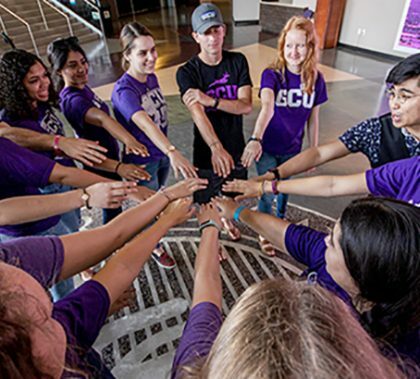 The GCU Robotics Club overcame a lot of challenges in the 2018-19 competition season — challenges that haven’t slowed down the club one bit. 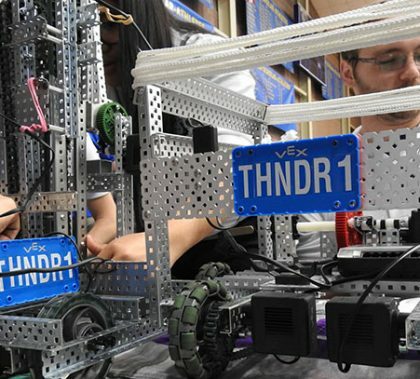 The Thunderbots are gearing up for their STEM Bonanza workshop on Saturday for fourth- through eighth-graders. They’ll be making oobleck, a slime-type substance that somehow acts as a liquid and a solid, and they’ll be unraveling codes with wheel cyphers. 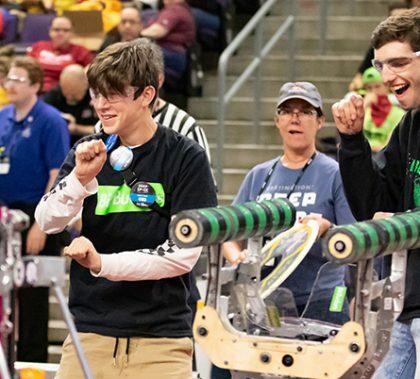 The Thunderbots are also getting ready to volunteer at the big FIRST Robotics regional competition at GCU Arena April 5-6.